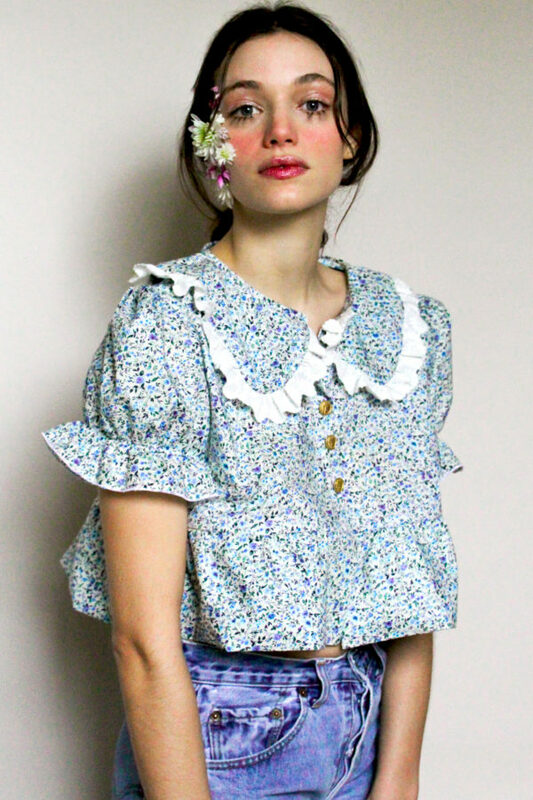 100% cotton blouse with english embroidery on the front. Possibility of closing the notch with two black satin links . Buttonhole on the front with gold buttons. Composition : 100 % Cotton. Théia prefers a gentle washing at 30° in a machine. Low wiping. Iron with mild iron. Expedition in all countries of the world. Exercise your right of withdrawal within 7 days. The delivery time may depends of the number of orders in progress. This period ranges from 5 days to one month. For any exchange and return please send us an email to contact@aurorevanmilhem.com.